According to Research and Markets, the market for lithium batteries is projected to reach USD 40 billion by 2024. Recently, lithium-ion batteries have been gaining much attention due to developments in electric vehicles (EVs), but they have been widely used for various electronic devices for more than 20 years. Today, researchers are working to make the high-performance batteries even smaller, lighter and cost-effective, to keep up with the growing demand from numerous industries all over the world. As a result, new innovations in battery technology are beginning to open up new possibilities for not just the automotive industry, but for consumer electronics, wearables, drones and much more. Such industries are positioned for growth in the Fourth Industrial Revolution, and supplying enough lithium to meet the growing demand through sustainable practices is posing a challenge. Today, almost every automaker is invested in EVs, and it will be batteries and software, not brakes and engines, that will play a decisive role in the success of future fleets. The biggest challenge for battery manufacturers is to make a high-capacity battery that can charge in a short period of time, but still be lightweight and compact at the same time. Solid-state lithium-ion batteries are a feasible solution. These super-capacity batteries replace traditional semi-liquid electrolytes with solid electrolytes that allow for faster charging times (about 7 minutes) and are not susceptible to explosion on impact as liquid-state electrolytes are. Solid-state batteries can also operate in dynamic temperatures between -30 degrees Celsius and 100 degrees Celsius. Plus, they are far lighter and take up less space in an EV. Toyota has announced they will use solid-state lithium-ion batteries in their EVs starting from 2020. Besides cars, lithium-ion batteries are great for portable electronic devices, and a new invention looks to widen the applicability of the batteries. Assistant Professor Yuan Yang of Material Science and Engineering at Columbia University recently came up with a flexible type of lithium-ion battery that resembles the human spine. He first got the idea for the design while doing sit-ups at the gym when he noticed how his flexible spine allowed his body to move in various ways. Yang applied the idea to lithium-ion batteries by rearranging the traditional battery in a vertical structure made of stiff and flexible parts, just like the human spine. The end result was a flexible battery with more than 85 percent of the energy density found in a standard battery. The flexible and energy-dense batteries are expected to open up new possibilities for consumer technology designs and further accelerate the growing wearables market. There’s another up-and-coming invention that makes use of solid-state lithium batteries. SolidEnergy Systems recently received USD 34 million in funding to commercialize their lithium-metal batteries, bringing total funding to USD 50 million. 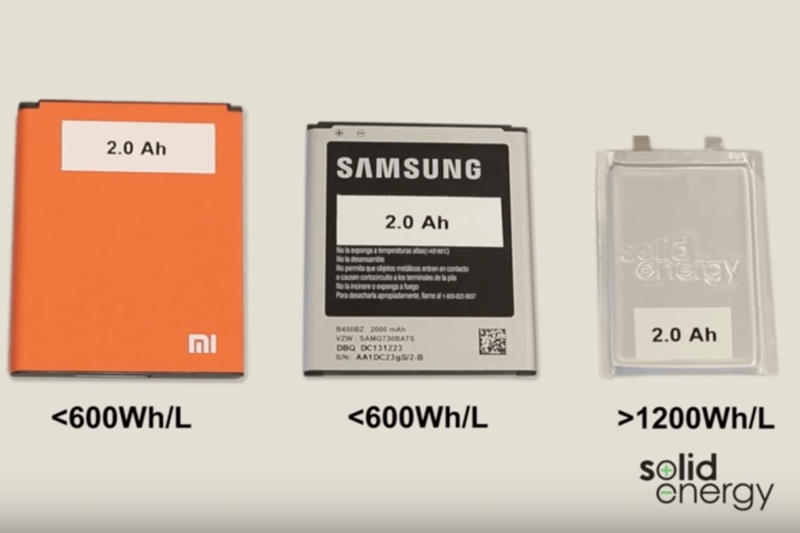 The batteries have twice as much energy density as lithium-ion batteries, making them perfect for devices that have battery size limitations. By replacing graphite with lithium metal foil for the negative electrodes, the company was able to pack more energy into a smaller space. The resulting energy density is 450 watt hours per kilogram and 1200 watt hours per liter. For now, it is being sold to drone companies and the makers are working on lithium-metal batteries for wearables and EVs. In the midst of development and advances in lithium batteries, the question to ask is where is all the lithium coming from, and is there enough to feed growing demand? 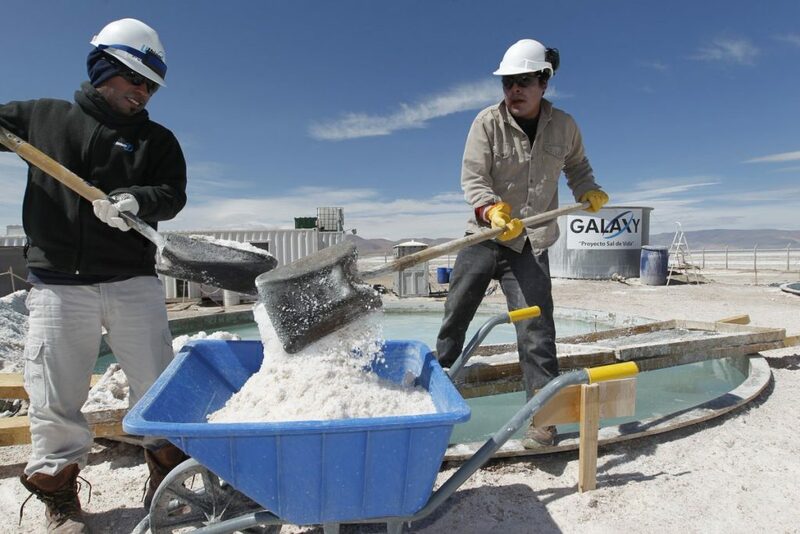 The answer is yes, there is more than enough lithium in different parts of the world, but the problem is that there are not enough mines to extract all the lithium in demand. More than half of the world’s lithium reserves are in South America, more specifically in Chile and Argentina, but Australia is the biggest producer. Even with new mines opening up at a frequent pace, lithium extraction isn’t easy. Political, social and environmental hurdles have led to unstable output. Coupled with the exponential growth of the EV market, the price of lithium carbonate has more than doubled from 2011 to 2016. Another concern is the environmental impact of lithium extraction and production. Critics have pointed out that raw materials, such as lithium, used to produce eco-friendly batteries have a large carbon footprint on their own. POSCO CEO Ohjoon Kwon holding lithium during his visit to PosLX, POSCO’s battery production factory in Korea. That’s why earlier this year, steelmaker POSCO opened up PosLX, Korea’s first lithium plant, as part of the move to expand its non-steel businesses and make headways into the batteries market. The new plant has an annual production capacity of 2,500 tons and will use POSCO’s innovative technology, developed in-house. POSCO’s eco-friendly extraction technology entails extracting lithium from water, and takes anywhere between 8 hours up to a month to complete. Traditional evaporation methods take 12 to 18 months to produce the same amount. Moreover, POSCO’s technology can obtain a purity rate of 99.9 percent, as well as a recovery rate of over 80 percent. In addition, POSCO has developed a way to extract lithium phosphate, a raw material of lithium carbonate, from used rechargeable batteries. The lithium carbonate produced from recycled secondary batteries are equal in purity, charge, discharge efficiency and capacity as existing lithium carbonate, but at a lower cost to the environment. Going forward, POSCO plans to increase its lithium production capacity to 40,000 tons per year to supply the increasing demand from new-growth industries and ensure a sustainable future of renewable energy. Cover photo courtesy of Cleantechnica.